These skates feature a padded interior with a durable chassis, ABEC 5 bearings and PU cast wheels…. 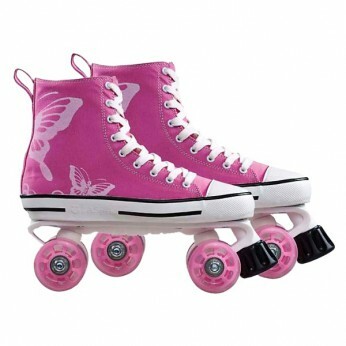 This toy costs approximately £14.99 (for the latest and best prices make sure you check our retailer list for the Canvas Boot Quad Skate (Size 40) above). In our review of Canvas Boot Quad Skate (Size 40) we classed it as being suitable for ages 6 years, 7 years, 8 years but recommend you check the manufacturer specific advice before purchasing.